Presenting the final results of Our State‘s 2014 Singer-Songwriter competition. After receiving over one hundred entries during Our State magazine’s 2014 Singer-Songwriter Competition, Leah Shaw’s song “Carolina I’m Home” has emerged as the winner. The competition called for original, North Carolina inspired songs that celebrate the place we call home. While living and pursuing music in New York City, Leah Shaw met a fellow North Carolinian musician and spent time reminiscing with him about their home state. Inspired by this connection and nostalgia, she crafted this winning song. 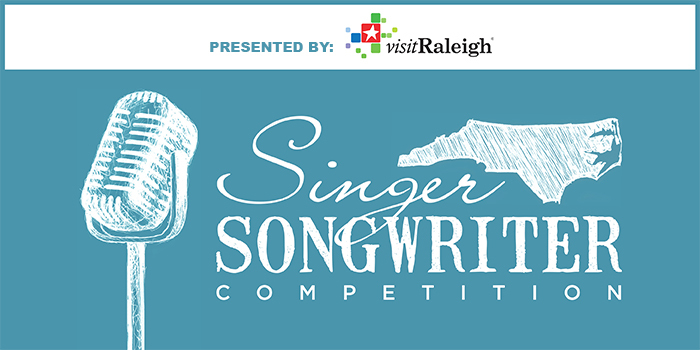 Learn more about the competition, judges, and the music prize package Shaw will receive from the Greater Raleigh Convention and Visitors Bureau by visiting the official contest page. More of Shaw’s music can be found at leahshawmusic.com. Discover for yourself why North Carolina’s capital city is the state’s hottest live music destination. From big-budget touring productions to free, weekly music festivals, Greater Raleigh’s got the most live music of any destination in North Carolina. So much live music, in fact, that you can experience a whole summer of Music Mania! 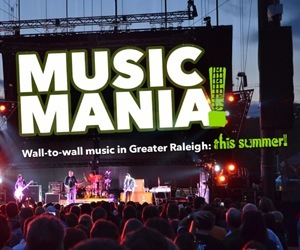 Check out visitRaleigh.com/musicmania, your one-stop source for great information, calendars showing the hottest live music events, including Hopscotch Music Festival and Wide Open Bluegrass, presented by PNC, and more in Greater Raleigh this summer.